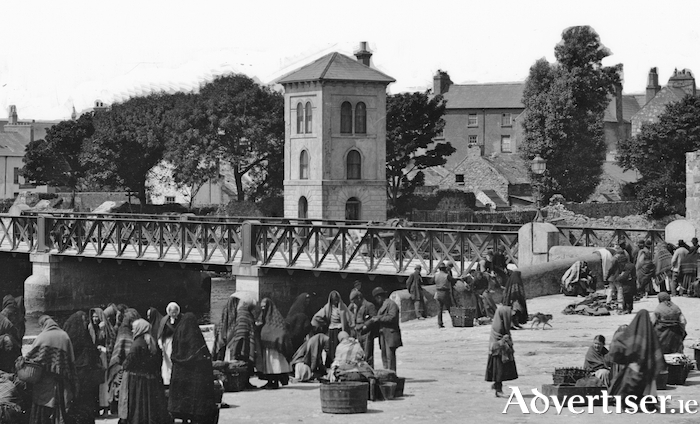 The inaugural Galway History Festival takes place next week, with a series of talks and lectures covering such issues as the War of Independence in Galway, food, activism, local history, and labour history. The festival will be opened in the Aula Maxima, NUI Galway, on Thursday March 7 at 5.30pm by Prof Enrico Dal Lago, head of history at NUIG, and deputy mayor, Cllr Donal Lyons. At 6.30pm, there will be a lecture and concert as NUIG's Dr John Cunningham, and legendary folk singer-songwriter, Andy Irvine, present 'Galway, Sydney, and the Wobbly World'. The Galway City Museum will also hold a number of festival events. On Friday March 8 at 6.30pm, JP McMahon, Dr Regina Sexton, Dr Ciara Breathnach, and Áine Maguire, will discuss 'Galway Food: Then & Now'. Events in The Black Gate Cultural Centre, St Francis Street, include 'Dealing With Ireland's Institutional Past, with Catherine Corless, Conall Ó Flahárta, and Dr Sarah-Anne Buckley, on Saturday March 9 at 10am; Revolution in Galway with Dr Donal Ó Drisceoil, Dr John Borgonovo, Dr Tony Varley, and Dara Folan, follows at 11.15am; 'Galway Activists & Enthusiasts' with Ollie Jennings, Evelyn Stevens, and former county councillor Seosamh Ó Cuaig, at 1.30pm; and 'What Use Is History In 2019' at 3.15pm with Catríona Crowe, Dr Eoin Daly, Prog Niall Ó Dochartaigh, and Dr Kevin O'Sullivan. There will also be a series of 10 minutes talks on the history of various Galway buildings and businesses, within the businesses themselves, as well as a talk on popular 1990s Galway band, The Little Fish. Other events take place in the Westside Library, the Galway City Library, as well as a table quiz in NUIG. Most events are free admission, but early arrival is advised. For more information email [email protected] or see http://galwayhistoryfestival.wordpress.com.